How does ICANPAY make money? 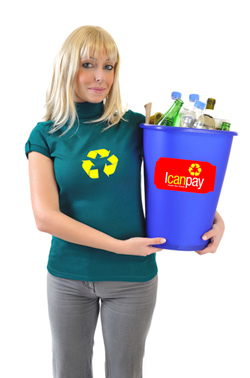 ICANPAY takes the hassle out of recycling. It is better if everyone recycles but time, money and inconvenience make it impossible. It was this situation that ICANPAY was born. ICANPAY takes a percentage of the 10cent that is refunded for each can and bottle. The more you collect the more money you receive back. Use the Calculator to see how much we PAY you for your cans and bottles. Why not hire our FREE wheelie bins to collect all drink bottles. 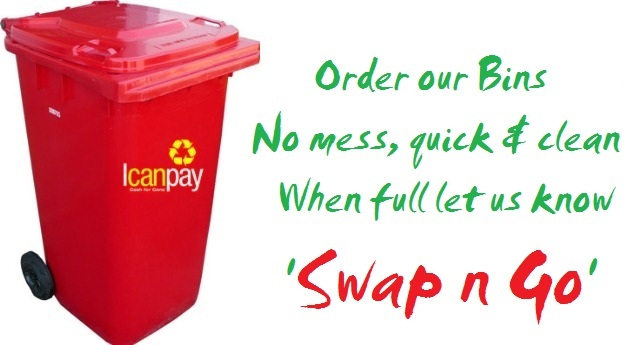 ICANPAY can cater for 1 thousand to 1 million containers a week PAYING back to you 50 to 60% of what was collected. 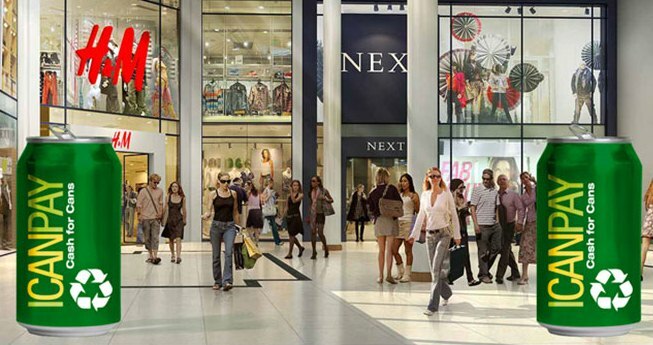 We provide the bins, crates and trailers to make collection easy and clean. 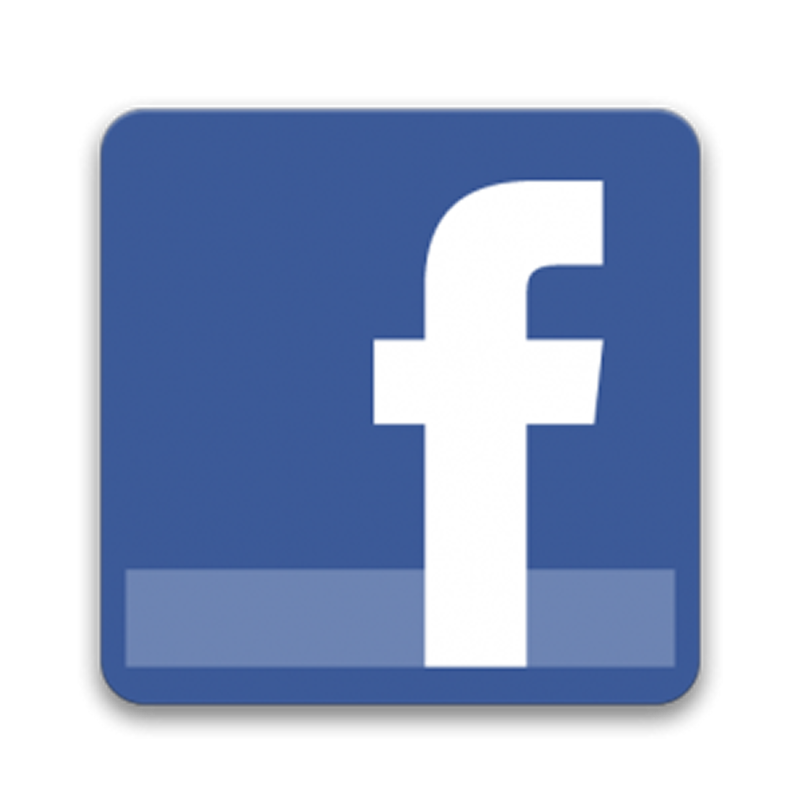 Get PAID for doing nothing. How do I redeem my cash? Once we have collected, sorted and counted the cans & bottles, we can pay you on the spot. Or we transfer that amount to your Account, which you then can login and view the balance. Once the balance reaches $50 you may redeem the amount. We transfer the money by bank or cheque. The simple answer is if the label says: '10c refund sold in SA/NT' then we will pay out the 10 cents on that container. 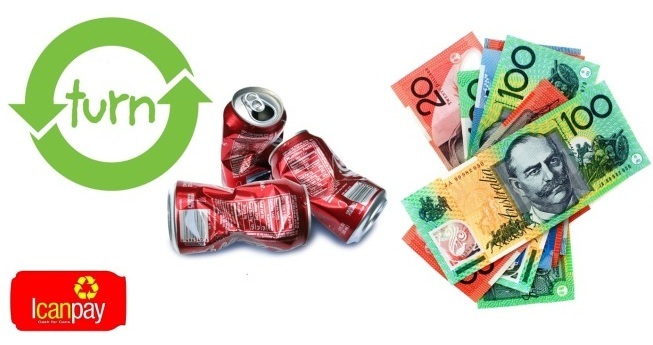 Take a look at the container deposit refund page for more details and examples of containers we often see. Do we need to remove the lids from our plastic bottles? Lids MUST be removed from all plastic bottles before they can be recycled, we ask that you do this. Do I need to remove the plastic ring on the neck of the bottle as well? We do accept cans crushed. However when we count cans we separate soft drink and beer cans into different drums as they go to different companies and crushed cans are a little harder to recognise. So if you plan to crush your cans please place soft drinks in one bag and beer in another, which will help us count your order much quicker.